I’ve been a skateboarder for somewhere around 25 years. The people I’ve meet through skating, the subculture I sunk myself into, the search and destroy mentality (which has got me in a little trouble here and there) and the places I’ve visited in the name of riding my board have played a huge role in making me the person I am today. Skateboarding is the reason I became interested in design. I wanted to learn how to create deck graphics for the skate shop I worked at. I started teaching myself how to use some programs in order to get my ideas off the paper and in a format that would work for the screens or printer at the woodshops. 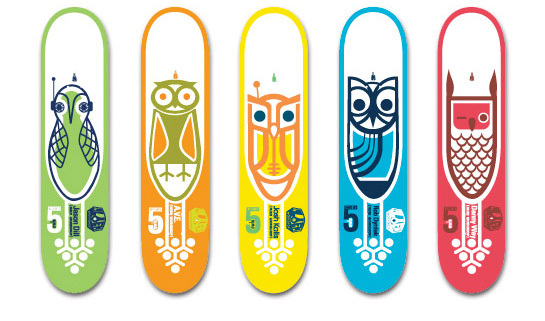 I love designing skateboards and seeing the finished product, setting it up to ride and then going out and beating it all the hell in a matter of hours. I can’t imagine spending hours, or even days creating a painting or drawing and then just ripping it up, but it’s almost wrong if you don’t do that to a skateboard. It’s the nature of the beast. If the graphic isn’t beat up, you aren’t skating. 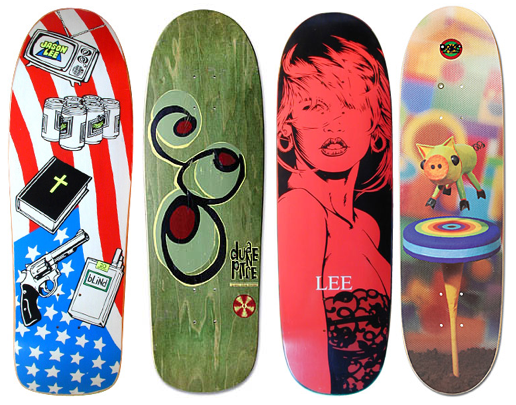 These skateboards were done by one of my favorite artist, Don Pendelton. I am truly inspired by Pendelton’s work. The shapes, the colors, the simplicity works perfectly on a skateboard. 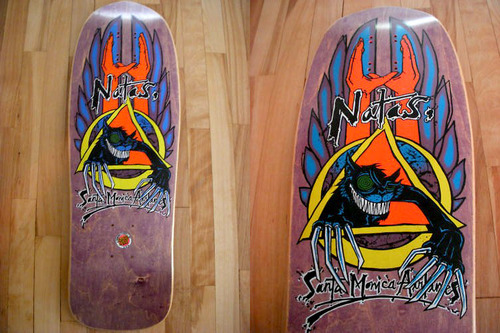 This is the 2nd skateboard I owned. Santa Monica Airlines Natas Kaupas. Just a sick deck! 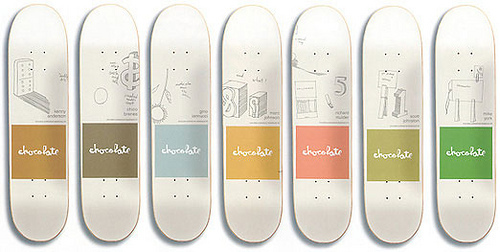 This series of decks are done by a company named Blueprint.  This company consistently impresses me with their graphics. 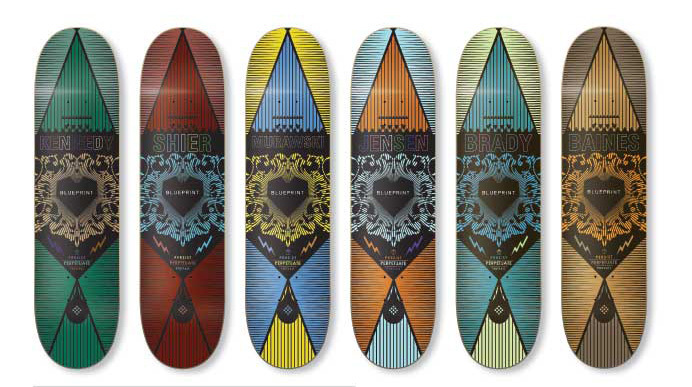 The next deck is done by Ben Horton who owns and runs a company that is fairly new called Slave. Chocolate is a company that always creates clean simple modern graphics. Just a few other decks that I always liked. Jason Lee, by Blind, Duane Pitre, by Alien Workshop, Jason Lee, by blind, John Drake, by Alien Workshop (displayed in that order). If you ever want to see inspiration art and don’t feel like visiting a museum or gallery stop by your local skate shop.